We had to re-evaluate everything we knew about this team. When the curtain closed on the Spring Split in the LEC a couple weeks ago, six teams made the playoffs. That’s an important number—it means that over half the teams in the league qualify for the postseason. Compared to most sports, that bar is comically low. But one team that couldn’t hurdle it was, to everyone’s shock, Misfits. A team that went to Worlds two years ago and rebuilt its roster in a major way—some were calling it a super team—was expected to at least do well in its own region. But they failed, and they failed hard. They were technically only a game out of the last playoff spot, but by the end of the split, were playing so poorly that even had they made playoffs, they would have likely been mere canon fodder. So what went wrong for this team to fail so spectacularly, and what can they do to fix it before the Summer Split? 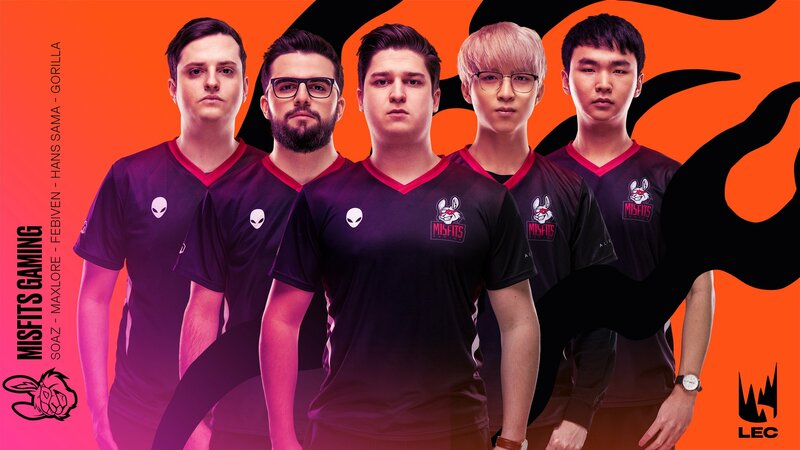 Misfits reloaded over the offseason by signing three of the strongest players in the world at their various positions to complement their existing roster. 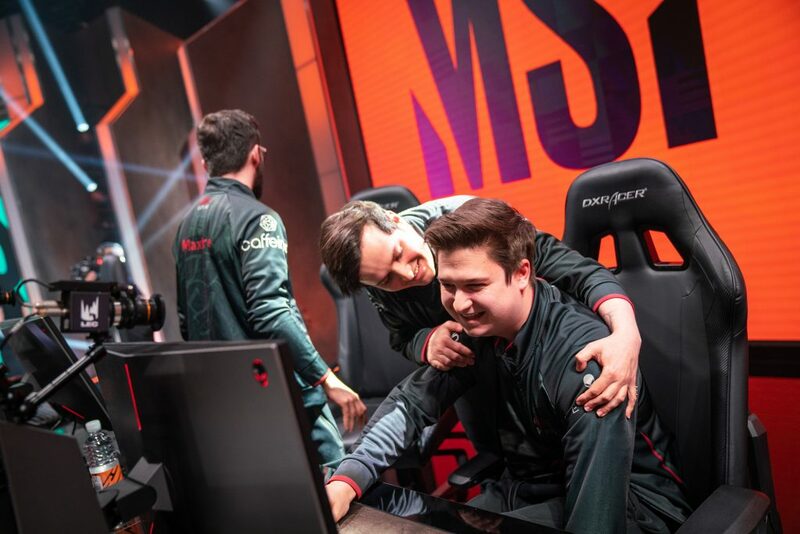 When the split started, we really wondered how the new guys would fit, particularly mid laner Fabian “Febiven” Diepstraten. Febiven didn’t have the best of years in North America in 2018 and we were interested to see what he had left in the tank. So far, Febiven’s been great. He has one of the better lane phases in the LEC and has played a variety of champions, which was sometimes an issue last summer. For the most part, mid lane has not been a problem. Neither has top lane. When given resources, Paul “sOAZ” Boyer has done well, but he’s mostly a low-resource type of player. His lane phase isn’t as good as Febiven’s, but Misfits leave him out to dry a lot. He doesn’t make many mistakes and has outplayed a couple ganks here and there. Ironically, the real issues have mostly come from the players Misfits chose to keep. It wasn’t long ago that jungler Nubar “Maxlore” Sarafian was considered one of the better junglers in the league. The team’s hot start to the 2018 Summer Split—they won their first nine games in a row—was mostly attributed to Maxlore’s supportive pathing. You still see some pathing genius from Maxlore, but it’s gotten much less frequent this year. The team just loses so much tempo in the lane phase, especially after the first jungle recalls. Early in the season they made up for that with some nice set plays, but teams figured that out. And even when they’d achieve leads on scaling champs like Karthus, Maxlore usually found a way to lose it. And we haven’t even talked about the biggest problem with Maxlore. For much of the split, the team’s early game numbers were actually pretty good. Febiven was winning lane phase, sOAZ is staying even, and in the bot lane, Steven “Hans Sama” Liv could do well depending on the matchup. They got turrets fast and had decent drake control. The raw numbers are a bit misleading because of some big wins they got early in the season, but on average, they at least are competitive through the first 20 minutes of the game. 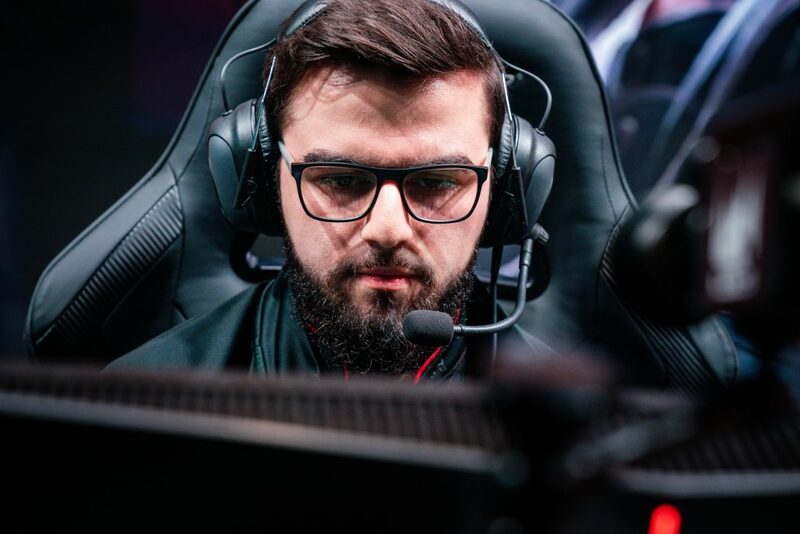 But when games crested 20 minutes and Baron spawned, that objective became a nightmare for Maxlore and Misfits. They were kind of damned no matter what they did. In some games, they’d try Baron and lose it. In others, they would fail to take it with an advantage and watch their lead disappear. It’s no wonder their Baron control is one of the worst in the league. This is the jungler’s domain—Maxlore has to be the one to organize how they approach Baron and make sure their execution is on point. And their failures around this objective speak loudly about the split he had. But as bad as it’s been for Maxlore, sometimes it feels like Misfits walk into those Baron encounters down a man. That’s because they’re missing a lot of damage from key source: AD Carry. Hans Sama’s stats are like one of those clown mirrors that blows certain things out of proportion. His lane stats are amazing. He’s number one in experience differential at 10 minutes by a mile. But then you look at the damage numbers and he’s only mid-tier. And that’s even putting it kindly. If you take out all the damage that Hans Sama is laying on opponents in lane, the picture is likely much worse. It doesn’t take a genius to figure out what’s going on. The champions he’s most comfortable on are Lucian and Draven, early game powerhouses that don’t offer much around Baron. He hasn’t been successful on Kai’Sa despite several games on the void marksman, and his Kalista games are likewise unconvincing. 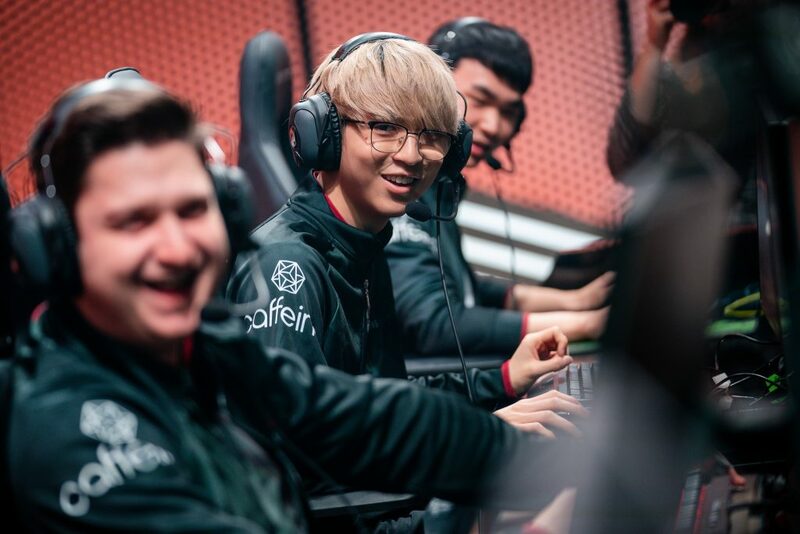 Unfortunately for the team, in a pivotal week eight matchup vs. Fnatic, one Misfits had to win to get into playoffs, Hans Sama actually played well on Cassiopeia. But major uncharacteristic mistakes made from top and mid lane doomed the game. When things go wrong like that for Misfits, they usually crumble. You just feel like if the enemy team gets momentum. Even if Misfits have superior scaling and the ability to stall, the game is over. Sure some of that is the meta, but some of it is just Misfits. Hans Sama’s bot lane partner, support Kang “GorillA” Beom-hyeon, was supposed to be the last major addition. He was supposed to provide a Korean mindset and macro direction. That clearly has not happened—even his chemistry with his lane partner has been shaky. 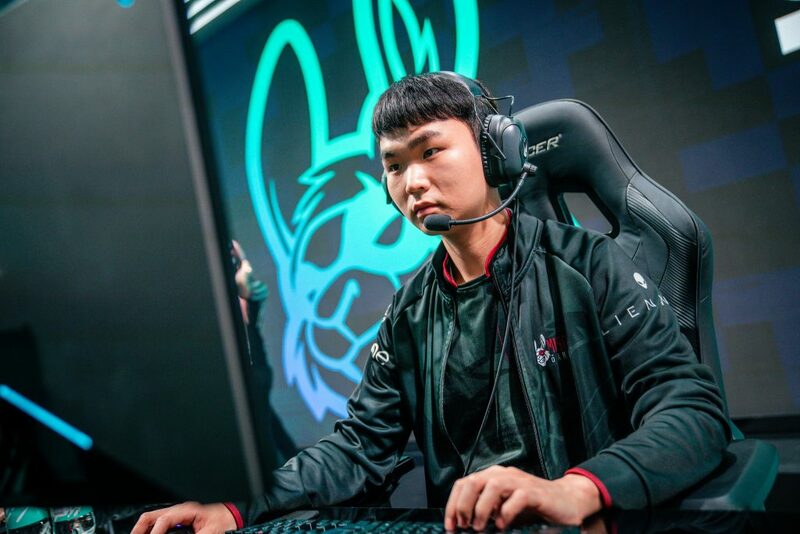 There’s a reason GorillA has died the second most among LEC supports this split. It’s clear that GorillA is not going to morph into the primary shot caller overnight. And Misfits desperately need someone to take that role. Someone who can organize their macro—their ability to play the map and handle lanes might be even worse than their Baron play. They control the second-lowest amount of lane farm in the league, and that’s after their strong early-game advantages. The good news is Misfits should have that type of leader on the roster. Febiven and sOAZ have been through playoff runs and Worlds trips before. Maxlore and GorillA clearly aren’t the solution. Whoever it is, Misfits need to find a unifying voice, and fast. If they do, there is still time to save the super team. All photos via Riot Games.